I received a couple of questions on how I made my Pottery Barn knockoff Christmas wreaths I used on my house . So I thought I would attempt to go through what I did and pray it makes sense. To start with, making window wreaths for all my windows wasn’t part of the Christmas plan. I’ve thought about it a few times but I always nix the idea because I wasn’t sure how I would hang them. The problem is, I don’t have double hung windows. My windows open from the bottom and our top window is stationary. This means the normal way of hanging the wreath by attaching a ribbon around the wreath, opening up the top window and then closing the window on the ribbon to hold it all won’t work for me. I love the look or wreaths hanging from a long ribbon and thought about getting up on a ladder and finagling some way to hang them from the trim. That could work but I don’t own a two story ladder. Even if I did , I don’t own that many wreaths! I would need EIGHT. So you can see there were just a few issues here. But then a few weeks ago I was in the craft store with my mom and I saw all the plain wreaths out and I just couldn’t help myself. Next thing I know I am loading 8 of those puppies in the cart and declaring I’m making wreaths this year people! Who cares if I can’t hang them. Hang and enjoy the beauty. 8 plain inexpensive fake evergreen wreaths. I acquired 8 wreaths, one for each window. I have two sizes of windows. The windows in the center of my house are 34” wide and the side windows on my house are only 20’’ wide. Because there was so much of a size difference in the windows along the front of my house, I decided to use two different sized wreaths. I chose 24-inch wreaths for the big windows and 12-inch wreaths for the side windows. Make sense? Outdoor ribbon. You can use regular wired ribbon but they will fade in the sun. I used it anyway because I don’t mind making bows and I will likely change them from year to year anyway. Gather your ornaments and wire them. I basically just wrap wire around the tops and secure with hot glue. Next I lay down my wreaths, fluff and reshape. I made my kids help me do it. I believe in free labor! Ha. Yeah they complain but I pretend I don’t hear them and keep going. Chop chop kids, we got wreaths to build! #momzsweatshop. Anyway, the wreaths get smashed in the store and all you have to do is pull and reshape the branches. It’s not hard, make your kids do it. Make sure you ask your husband to help too. This will very successfully clear the room of teenagers and husbands because they migrate upstairs to avoid helping. You now can make a nice hot cup of coffee, enjoy the peace and quiet and have total control over the TV while you work. I divided up my ornaments evenly among the wreaths – that way I wouldn’t get carried away putting too many on the first 5 and then have to decorate the last ones sparingly because I was running out of materials. Before I wire anything down, I lay out all the wreaths on my family room floor. I flop down my bow so I can see how much space it will take up. There is no sense in adding decorations that will just be covered up by the bow. Then I lay out a pattern. I place 3 pine cones around the wreath, distributed in a triangular shape. After that I lay down the ornaments. I try to make little groups like one big red shiny ball, a medium silver and a small matte red. Next I may do a large silver and large matte red and small red shiny. Get the picture? I try to balance out the use of matte and shiny and color. The color is predominately red with just accents of silver and white. It is not an exact pattern; you just want it to be balanced. With some of mine, I felt like I just dropped the balls on and it looked great right away while others I felt I have to rework like a puzzle because I just couldn’t seem to get it. It’s not hard but occasionally if I felt I was getting stuck or over- thinking it, I would just set it aside and focus on something else for a brief period. A little break always helps me come back with a fresh eye and the puzzle pieces begin to fall into place once again. Now I go back and wire the ornaments down to the form by pulling the wire through and then twisting it. When I think I am about done, I hang the wreath from a wreath hanger on a door in my kitchen. It’s near where I am working. This helps me to step back and see how the wreath is going to look hanging up and find any problem areas. I fix any holes or move things around that I may not like. After I am done attaching all the pine cones and balls, I wire in the bow. The final step is to add the lights. I take my red and white string of lights that we made and tuck them around the balls and pine cones throughout the wreath. I used the same size light string on both. With the smaller sized wreaths, I tucked the excess lights in the back. I like to add the lights last so they do not get buried by the ornaments. I also have the lights plugged in when I do this so I can see how the bulbs are being distributed. It basically just makes it easier to see. Make sure the plug comes out the back. Now they are ready to hang. My solution for my hanging issue was to tie a string on each side of the wreath from the wire frame on the back. On my windows, I removed my bottom screen and tilted open the bottom window. I set my wreath out and while holding the strings I tried to get the wreath center on the window. You will need an extra set of hands. I had Aaron, my nephew-extraordinaire, come over to help since my family was in hiding. Just kidding Honey. He was actually out putting the lights in the bushes for me. Anyway, I made sure my plug was coming back into the house and then shut the window. I tied the string around the lock and used white duct tape to secure it. I attached an extension cord to the plug, added a timer and we were good to go. So far they have withheld some serious wind here in Cleveland and the haven’t slipped yet. Thank goodness! I did something different for the big window on the Porch. I’ll try to write a tutorial for that one too but right now I’m off to curl up next to my Hubby and watch a movie. 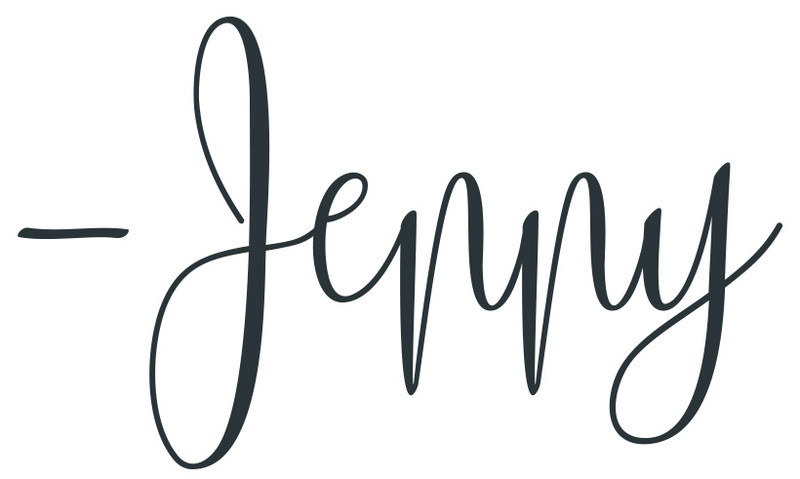 Hi Jenny, I love your wreaths and garland! How many strands of lights do i need for each wreath? I think mine will be 18 or 24 inches wide, I haven’t decided yet. Hi Maureen, Im pretty sure I only used 1 strand per wreath because each strand had 60 bulbs on it. They are sitting in my family room right now waiting to be unpacked and re hung this year so I will double check tomorrow. The light strand I used was Philips 60 count sphere light strand from Target. It says “c1” on the box. I hope this helps. Thanks for the tips on how to hang the wreaths from windows with stationary top without having to get hooks or suction cups! I was considering doing something like you did but wasn’t quite sure it would work until now. Thanks for the inspiration. Your decor turned out beautiful! It’s on my to do list to add red bows to mine, so thanks so much for sharing yours! They look wonderful! Oh that one on the first floor is just jaw dropping, I so love!! Thank you. I loved him too. He was one of those “I really shouldn’t be doing this right now” spur of the moment projects but I couldn’t help make one more thing. Your wreaths are amazing..such beautiful Christmas decor!!! Wonderful. My wife made very simple wreath. Thank you. I bet you wife’s wreath is lovely. I find that the simple ones are often the prettiest. Great tips but still am not sure how you hung them? Do you mean you had 2 wires on the SIDES of the wreaths and brought them into the window to wrap around the lock? I have the same kind of windows! Your wreaths look amazing! Thanks for the tutorial, as well!